A true all-around bridge camera. 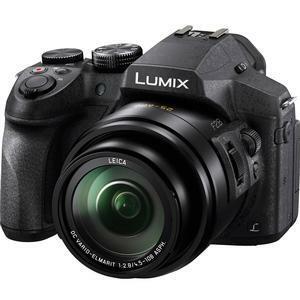 Expanding on the innovation of the FZ200, the new Panasonic Lumix DMC-FZ300 is also capable of 4K ultra high definition which enables 4K Photo and 4K video recording. The stunningly fast f/2.8 aperture with 24x optical zoom (the equivalent of a 25-600mm in 35mm) makes it possible to clearly capture moving subjects at a high shutter speed even at a great distance, all in a splash/dust-proof rugged design. 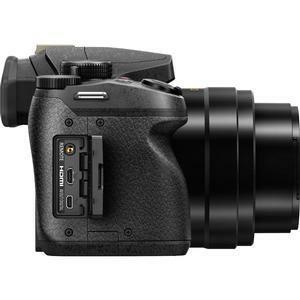 The 12.1-megapixel High Sensitivity MOS sensor and the new Venus Engine image processor enable users to shoot high quality images even at higher sensitivity, recording up to ISO 6400 with higher resolution and superior color reproduction. 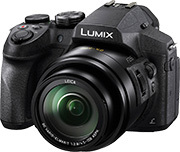 The LUMIX FZ300 integrates a large, bright 1,440K-dot OLED (Organic Light-Emitting Diode) Live View Finder (LVF) with approx.100% field of view in 4:3 aspect ratio. It boasts 0.7x magnification and astonishingly high contrast at 10,000:1 together with excellent color reproduction. 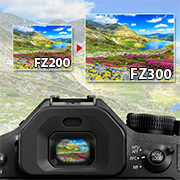 Adopting a static-type touch control system, the 3.0-in free-angle LCD features approx.100% field of view. 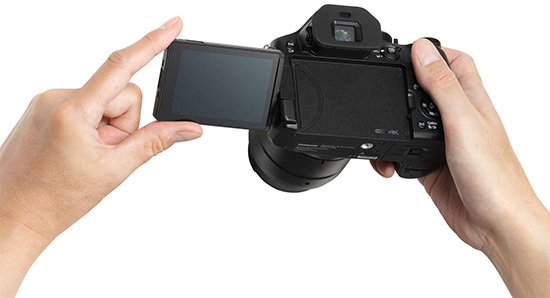 The touch-control system immediately lets users set focus on the subject simply by touching the screen and releasing the shutter. 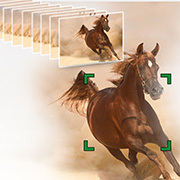 For even faster response and higher mobility, the LUMIX FZ300 integrates the Depth From Defocus technology (DFD) to achieve ultra-high-speed AF of approx. 0.09 sec. It contributes to high speed burst shooting at 12 fps. With Wi-Fi connectivity, users can connect the camera to their smartphone / tablet to expand the flexibility in shooting / storing / sharing images. Burst shooting 8-megapixel equivalent images extracted from 4K video as long as the shutter button is pressed. 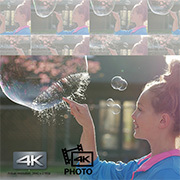 4K burst recording as 4K video then play, pause, and extract any frame / photo as an 8-megapixel equivalent image later. 4K pre-burst starts recording one second before and after you press the shutter button. Perfect for unpredictable moments. 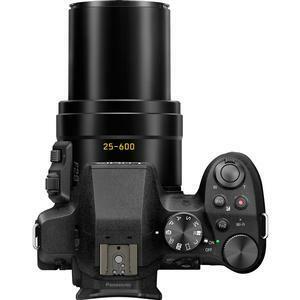 The 24x optical zoom LEICA DC VARIO-ELMARIT lens (equiv. 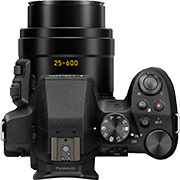 25-600mm) boasts full-range f/2.8. Regardless of how distant your subject is, or how fast it is moving, this lens won't let it get away. 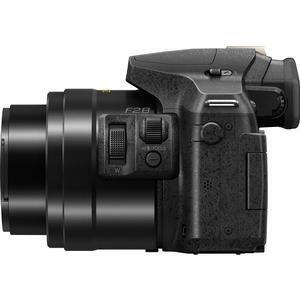 And the constant f/2.8 capability enhances low-light shooting throughout the entire zoom range. Additionally, the Nano Surface coating boasts the Lumix FZ300 for exceptional low reflectance optical performance with stunning clarity by minimizing flaring and ghosting. 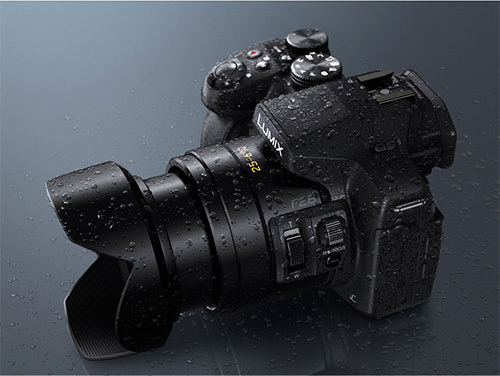 The LUMIX FZ300 features a splashproof / dustproof rugged design with tight seals on every joint, dial and button, so it stands up to harsh weather conditions and challenging environments -- from a marshy jungle to a windy desert. 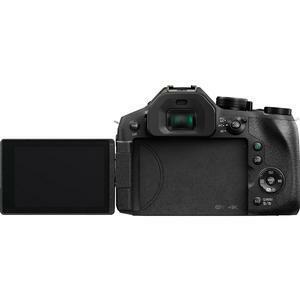 The 12.1-megapixel High Sensitivity MOS Sensor in combination with the Venus Engine excels in diffraction compensation, yielding images that are crisp and free from artifacts associated with small aperture settings. Capture stunning macro shots with a minimum focusing distance of 1cm. 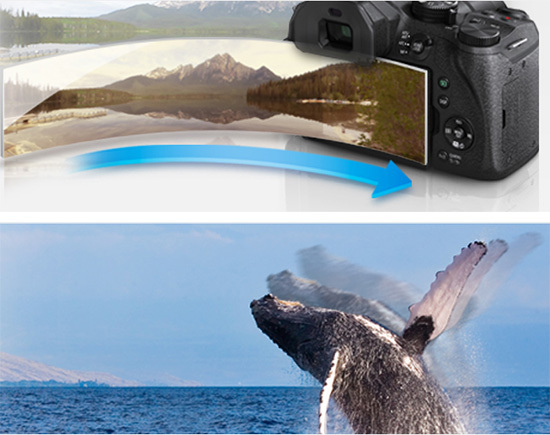 The Creative Panorama function allows you to create dynamic panoramic photos by simply panning the camera. You can record high-speed videos at 120 fps in HD quality or 240 fps in VGA quality and play them back in dramatic slow motion. The LUMIX FZ300 can be combined with the DMW-FL580L External Flash, the DMW-MS2 Stereo/Shotgun Microphone, the DMW-LT55 Tele Conversion Lens, DMW-LC55 Close-up Lens and many other accessories.